When one thinks of industries where precise inventory tracking is an absolute must, high-end fashion for children is perhaps the first one that comes to mind. 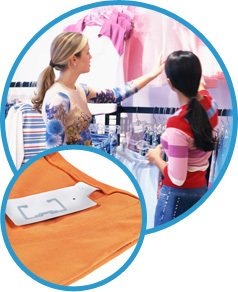 So it will come as no surprise that Boboli, one of Spain’s premier fashion houses for children, is piloting an RFID deployment program to track and manage items from manufacturing through point-of-sale. The asset tracking system, using components from TAGSYS, Avery Dennison, and Spanish tech company CETEMMSA, will initially scan inbound and outbound warehouse shipments, and then expand to include store-level inventory scans at the manufacturer’s stores. The pilot program will cover 10 percent of Boboli’s production inventory with plans to expand full RFID deployment throughout all items. Boboli produces over two million items per year that are distributed in 30 owned and operated shops worldwide.